The Flathead National Forest wants to add its Anna Creek Cabin on the West Side Reservoir Road to its Cabin Rental Program. But snowmobilers also want the West Side Reservoir Road snow-groomed in winter for quicker snowmobile access to the Anna Creek and Jewel Basin areas - even though snowmobiling is illegal in the Jewel Basin Hiking Area! 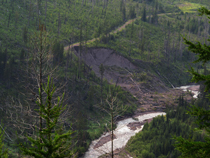 The inevitable result will be an increase in snowmobile violations of Jewel Basin and a flood of snowmobile activity in the essential habitats of grizzly bear, lynx, wolverine, and other sensitive wildlife in the northern Swan Range! Urge the Flathead to 1) not rent the Anna Creek Cabin during wintertime and 2) not allow snow-grooming of the West Side Reservoir Road! This is a disaster in the making and you can help stop it in its tracks! Please comment TODAY even though comments will be accepted until November 26! Click here for the Flathead’s letter inviting comments, though it is misleading in saying the area around the cabin is open to snowmobiling and by not mentioning simultaneous pressure to groom the road for quicker snowmobile access. 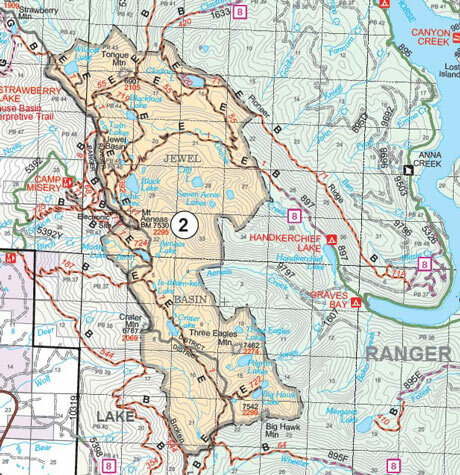 See the map above: the high country above Anna Creek Cabin is the Jewel Basin Hiking Area, which is closed to snowmobiles! Anna Creek Cabin is no place for a snowmobile base camp! We’ve seen this deplorable situation develop along the Continental Divide, where grooming of the Skyland Road and wintertime rental of the Challenge Cabin is contributing to illegal snowmobile trespass into the Great Bear Wilderness and the Badger-Two Medicine, including near females grizzly bears with cubs just emerging from their winter dens. When required by its own Forest Plan to shut down the Skyland area, the Flathead instead simply shifts snowmobiling to the equally sensitive northern Swan Range! We simply can’t let this happen in the Swan Range!